So this is another technique discussed in Dr Richard Palmer’s splendid book, Studying for Success. He calls it Review As You Learn (RAYL) and promises that it will take the misery out of revision. I will try to explain the technique as concisely as possible; if you want a fuller account and more priceless tips, get the book! Essentially, says Dr Palmer, most students look dreadful at the exam hall – “pasty and drained, with bloodshot eyes and trembling hands” – and why? Because they’ve had to cram a year’s work or more into two months. The problem is a lack of long-term memory (LTM) of what you have learned in school. When exams draw near, you dig up your old materials and find that you have to do much more than just revise (the re-perusal of familiar material) – you need to learn from scratch because a lot of the stuff is no longer familiar to you. The likelihood of remembering something is in direct proportion to the number of times it is used or studied. This is why you probably find it quite easy to remember your ID number, your phone number or the lyrics to an overplayed song. Thus, the key to transferring content from short-term to long-term memory is repetition: a constant and regular review of past work. Figure 3.4 shows a suggested series of intervals at which to revisit past material. By your sixth return to the content, it should be firmly lodged in your LTM. Dr Palmer stresses that this should not take much time: as little as ten minutes a day. Provided you concentrate properly for those ten minutes, such review can be done at the end of an evening’s work or at any fallow time. It is exemplary time management. Invest these little bits of time on a consistent basis, and when it’s time to revise for exams again you will find it so much more comfortable. All or most of the material will look familiar to you, and you can quickly recap and reinforce. Moreover, you would have had months for it to ferment and synthesize in your mind. Chances are your understanding and appreciation of the material would have grown, and you would have developed deeper insight into it. Website owner Steven Ooi, a First Class Honours grad from the National University of Singapore, retired from a distinguished 14-year career as an English and GP tutor in 2016. He continues to blog on issues of concern to GP and student life. 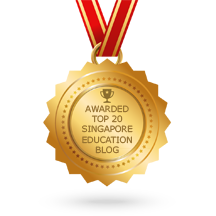 This entry was posted in General academic advice and tagged gp tuition, gp tutor, secrets to academic success, singapore, study tips for students. Bookmark the permalink.